Criteria: These are the Greatest Movies in motion picture history. Chosen for their quality direction, script, cinematography, acting, story line, originality, and box office success. 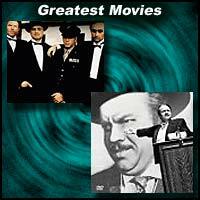 to be a guide for discovering the greatest movies in the category of your liking.